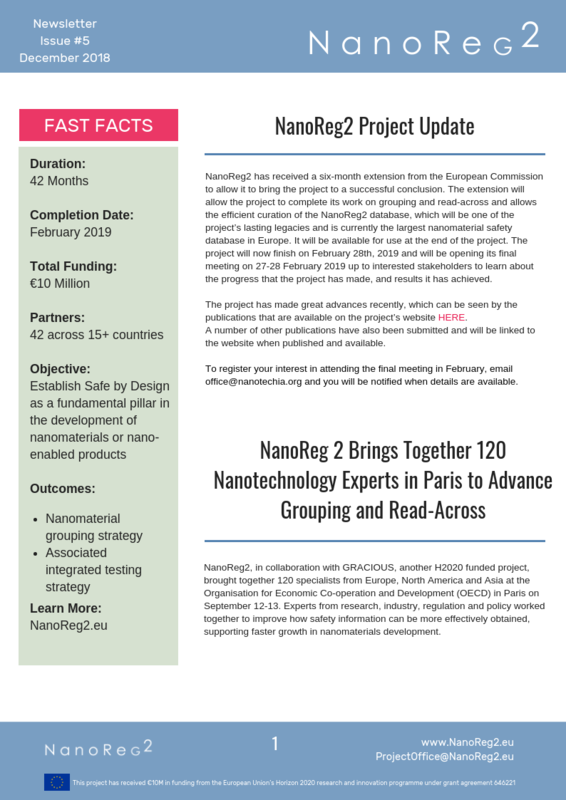 NanoReg2, a Horizon 2020 project establishing Safe by Design (SbD) as a fundamental pillar in the discovery, screening and commercialisation of novel nanomaterials and nano enabled products, has published its 5th project newsletter. Find out about the OECD meeting hosted jointly by the NanoReg2 and GRACIOUS projects for Grouping of Nanomaterials and access all the slides from the meeting. Read the latest publication from NanoReg2 on the possibilities to fit Grouping and Read Across into current EU legislation.